Do you want to know what 1897 stands for? Here, let me tell you. 1897 stands for 114 years of quality customer service and premium merchandise provided by yours truly, Glik’s. A proud family owned and operated mid-western company; Glik’s has been providing exceptional apparel for quite a few years. So, with all this experience in fashion it was a logical choice to create a brand that provided nothing but tailored fits at an affordable price. 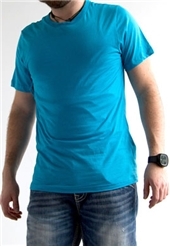 Thus, 1897 was born in 2010 and has producing such great men’s apparel as denim jeans, superior cotton tees, and always a summer favorite, shorts. Let’s start out with this oh-so fresh so clean Flat Front Twill short from 1897, available in washes like putty as well as tobacco. 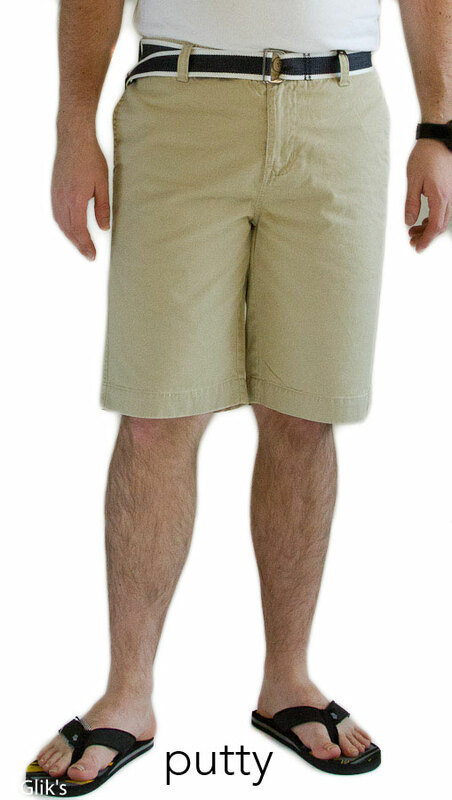 This durable, yet comfortable men’s canvas short with flat front and fun preppy belt is a favorite among guys and this style is a Glik’s best seller! 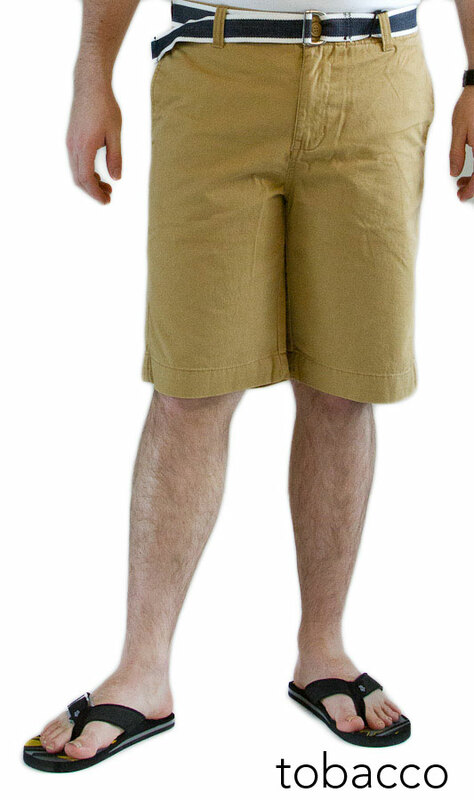 The 1897 Flat Front Twill short is perfect for that guy that likes a simple, yet classic style short for his everyday activities, as golf match, or to even wear out and about on a warm summer evening. 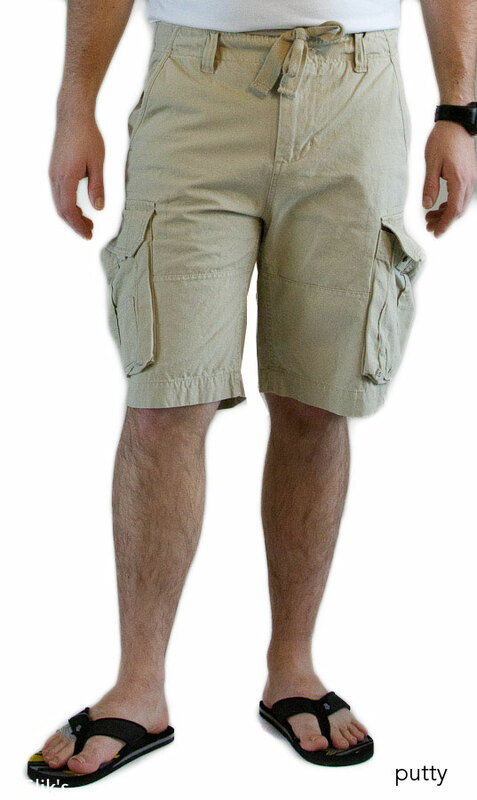 1897 also provides the always popular Solid Canvas Cargo short. 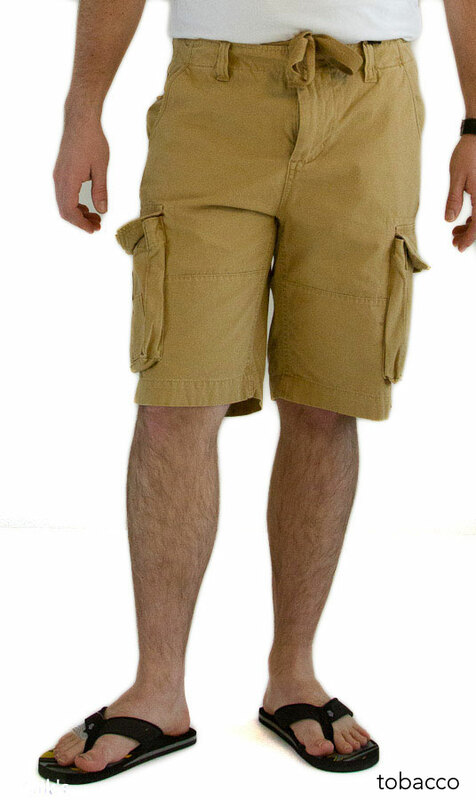 This canvas short with cargo pockets on each leg is a man’s best friend. 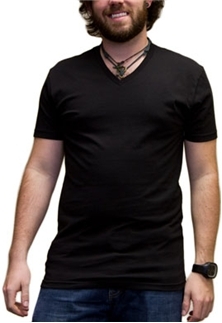 The multi functional pockets provide actual storage space for anything a man’s heart desires during the summer. The 1897 canvas cargo shorts are the closest thing that you’ll get to a man’s purse. Nothing for him to hold in his hands—no problem! So, you’re also a fan of plaid? That’s great! 1897 has you covered in that short department as well! 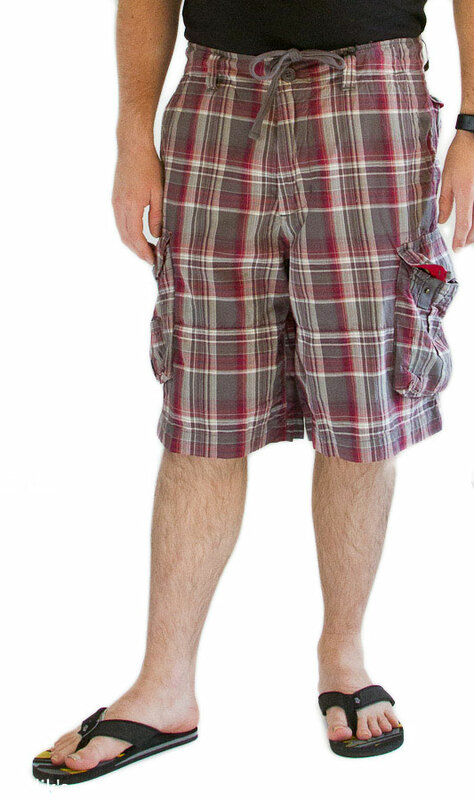 Put a little prep into your step when you wear the 1897 Plaid short available in both flat front and cargo styles! 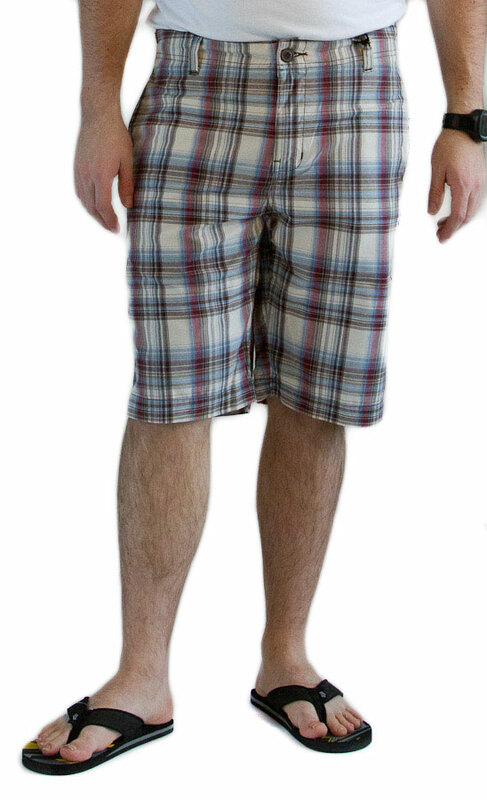 Pair these plaid shorts with your favorite polo for a golf scramble with the guys or a premium cotton tee for an everyday casual comfort like the 1897 tee that is available in both crew and V-necklines as well as in different colors.